There is a debate on whether toilet seat covers help in preventing transmission of infection through toilet seat contact with the skin. Although several scientific research has shown that the possibility of preventing infection through the use of toilet seat cover is very slim, because in most cases public toilet seats are wet from liquid waste. Since seat covers are made of paper (disposables), they have the tendency of absorbing liquid waste. There is a possibility of your skin coming in contact with liquid waste, especially when you use a toilet seat cover on a wet toilet. But my focus in today’s post is not about whether toilet seat covers are worth it or not. But rather on how to use it properly when making use of public rest rooms. It’s common to have toilet seat dispenser in most public toilets, why not use it when it’s at your disposal; you can never be too cautious when it comes to your health. A larger percentage of toilet seat cover users don’t know how to use it properly, therefore causing a mess rather than preventing the mess (which is the aim of using a toilet seat cover at first). 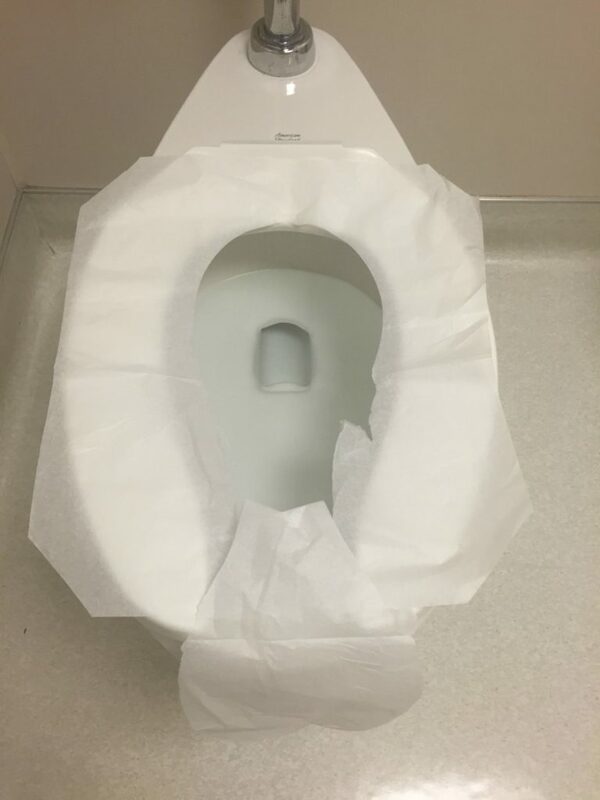 How To Use Toilet Seat Cover Properly: 5 Steps. 3. Notice the perforation around the perimeter of the cover, gently separate the flap along the perforation, and leave the front part intact. 4. Set the cover on your toilet seat properly, with the flap positioned in the front part of the toilet. 5. Flush When you’re done. The flap will pull the toilet seat cover with it into the toilet if placed properly. Most users would remove the flap and throw it into the bin, that’s a mistake. The flap should not be completely detached from the seat cover. Scientifically proven or not; toilet seat cover gives me the added assurance that I need when I make use of public toilet. Using it the right way won’t hurt either. Best Bottles For Breastfeeding Babies: Detailed Review.